Artists will tell you they draw inspiration from a variety of sources. Often, those sources include their kids. For Father’s Day, three local dads — two visual artists, one musician — shared with The Post and Courier the various ways their children have influenced their approach to life and to the creative process. Baze Duckworth is 13, athletic and already nearly 5-foot 8-inches tall. Apparently, he’s got his father’s height gene. Visual artist John Duckworth is 6-foot-4. Lately, Baze also has inherited his dad’s interest in photography. Not long ago, they were taking pictures at dawn at Breach Inlet, attentive to the play of early light on the surface of the water, when Baze turned to his father and said, “Hey dad, I think this may be my thing.” So John Duckworth upgraded his son’s camera equipment. This Old House lends a hand on the renovation of an 1840's “single house” in Charleston, South Carolina, with the goal of preserving its unique character while creating a comfortable family home. 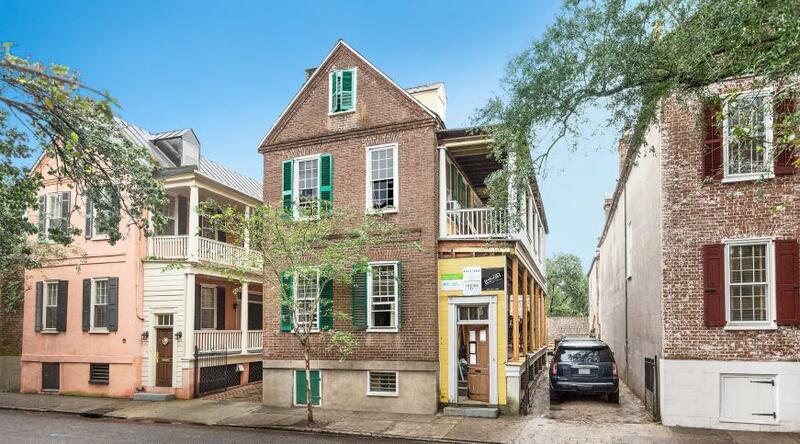 The second project of the upcoming 39th This Old House season will take place in Charleston, South Carolina, a town rich in history, with many architectural gems in need of saving. The crew—along with apprentices from the American College of the Building Arts, the only school in the U.S. that offers a bachelor’s degree in traditional building trades—will help restore two of Charleston’s quintessential historic homes, both of which require extensive renovations to restore their original beauty while making them functional for modern families. Over the past decade, Charleston has become a hot spot for contemporary culture. The growth of our city continues to foster new ideas and attract creatives who bring a fresh perspective to a charming city rich in history. 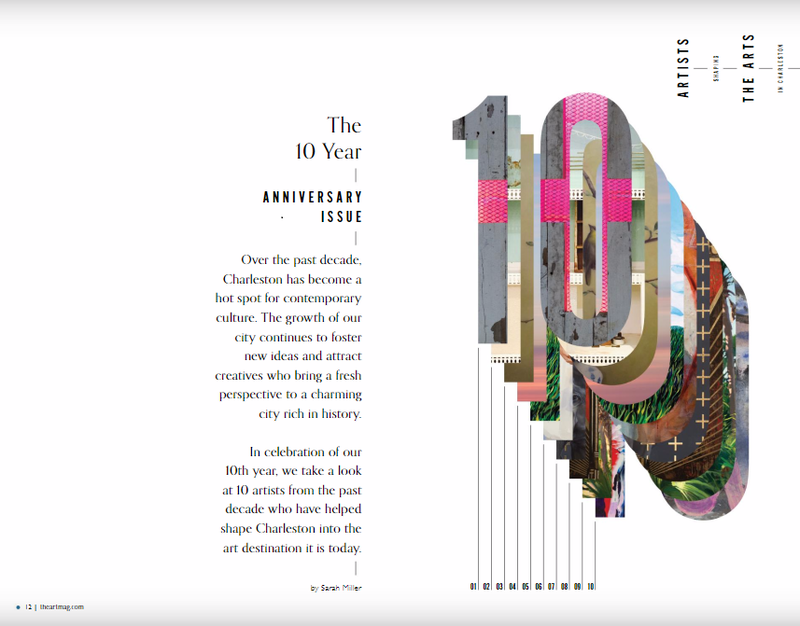 In celebration of our 10th year, we take a look at 10 artists from the past decade who have helped shape Charleston into the art destination it is today. Duckworth is a dynamic artist who’s best known for his iconic, abstracted landscape photography. His artistry includes work in video, sound, light, and installation. Bringing experiential art to the masses, Duckworth’s 2014 AWAKE exhibition at the City Gallery at Waterfront Park turned heads at a time when technology had begun altering the way we look at art. His position on environmental and social change has given way to education being a main component of his exhibitions. Duckworth continues to surprise and delight through his multi-layered productions and unique ideas. Full disclosure, my husband and I are novice mountain bikers, so a day and a half navigating between trees and over stumps was plenty fun but just right. The rest of our weekend we spent exploring on our road bikes—our default mode. 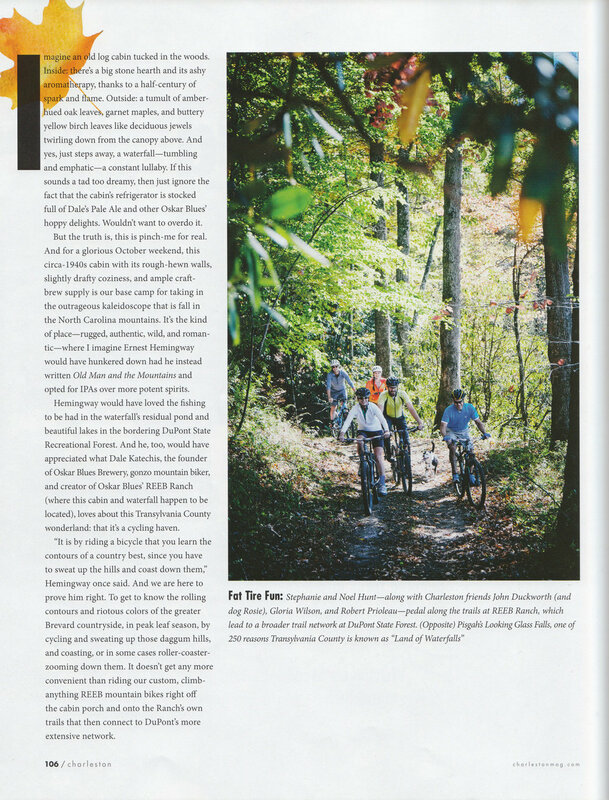 And for the road cyclist, the region’s options are equally robust and awesome, both in and around Pisgah and on rural roads throughout Transylvania and neighboring Hendersonville and Polk counties. We gladly let our friend John Duckworth, a Charleston artist and avid cyclist who knows the area’s highways and byways well, lead the way. I serve on a board with John and have worked on a few projects with him; I know to trust his judgment, so when he insists, “You’ve got to ride 276. It’s a classic, an absolute must,” we oblige. Despite being well aware that Highway 276—a Forest Heritage Scenic Byway beginning at The Hub bike shop and leading to the Blue Ridge Parkway—is a long, winding climb and that John’s long, lean legs are stronger than ours, up we go, and we’re not disappointed. Wade in the Water is a unique and innovative app combining Echoes’ location-triggered content with advanced indoor location technology. Artist John Duckworth (Charleston, USA) commissioned Echoes to fulfil a challenging design brief for an interactive indoor sound installation in a massive warehouse space. The app utilises cutting-edge indoor location technology to sense the listener’s exact position within the space and trigger sound ‘placed’ in that location. For the listener, no extra equipment is needed apart from a standard smartphone. As listeners walk around the space, a gospel choir sings a piece in which each singer’s voice is placed at a specific position, and you can walk through the performance as it’s happening, with each singer getting louder or quieter as you approach their location. Another part features testimonials which you can ‘discover’ by standing in the right position. Echoes.xyz combined their existing location-based audio platform with brand new indoor location sensing technology to bring outdoor audio tours and experiences indoors. The Southern presents 99 Problems (but a print ain’t one), a HUGE print exhibition with 90+ artists and over 100 prints! We have set the opening of the exhibit on “Black Friday” in a deliberate effort to promote collecting original art during this holiday season. Each print will be available in an edition of five to ten and will be priced from the affordable to the investable. 99 Problems (but a print ain’t one) will exhibit artwork in the following disciplines: Woodcut, Linocut, Etching, Engraving, Monotype & Monoprint, Lithography, Screen Print, Digital Print, Transfer, or any combination thereof. The exhibit concept is straightforward: we have some serious problems happening in our country. Art has always acted as a beacon for raising awareness, directing change, and to enlighten our daily lives. All these problems, but a print ain’t one. The pop-up gallery includes works from "Awake," Duckworth’s most recent show in the City Gallery at Waterfront Park in Charleston. Far from the typical gallery exhibit, "Awake" was an immersive art experience that aimed to engage visitors in ways they might not expect – ways that he hoped would make viewing the art work more meaningful and thought provoking. He plans to bring some of that same energy to his show at the Wedge, including his photographic landscape abstractions, which people often mistake for paintings. Phil Durst and John Duckworth exhibit: BALANCE May 15 - August 2016 Austin assemblage artist, Phil Durst, was first featured as Mitchell Hill’s 2014 Spoleto Artist. Durst is a civil rights attorney based in Austin, Texas and creates his highly detailed mixed-media creations in his free time. This year his quilt-themed works behind glass are going to be paired up with local photographer, John Duckworth. Many know Duckworth’s work from AWAKE at the City Gallery in 2015 and his photographic installation at FIG. No formal opening reception will take place for BALANCE but patrons are welcome to celebrate daily at Mitchell Hill throughout the duration of the show. And The Winners Are... In May, we presented “Charleston’s 40 Most Influential Artists (1670-2015)” and asked readers to help select the final 10 via an online vote. Nearly 2,300 people weighed in with their picks, and the results are in! Because we gave a list of 29 artists to vote on, plus a write-in option—we offer two top-10 lists, those suggested in our sidebar and those written in. Duckworth has created much more than an exhibit with AWAKE, which opened Friday at the City Gallery at Waterfront Park. He's presented us with a journey, an interactive, immersive invitation into another realm, where we step out of the mundane, out of the habitual motions of our daily routines, and into a contemplative space, where the mind (your mind, my mind, all fuzzy and chaotic) is the true art object, and Duckworth's creations—serene digitized landscape abstractions, glaring and intense Buddha's layered and tattooed with graphics and images—become a mirror for consciousness. Sound heady and ambitious? It is. Sound cool and appealing? You bet. A few years ago, John Duckworth attended the Art Basel-Miami Beach show, a potpourri of modern and contemporary artworks that attracts attention from critics and patrons around the world, but he wasn't impressed. "It was disheartening," he said. Everyone was trying too hard to be different. The work lacked authenticity, he thought. "It was disingenuous. But I looked at what I liked and made a list." “These six pieces, currently on display at Fritz Porter, represent the latest release in my Landscape Abstracts series, a body of work that I have had the great fortune to produce since 2003. I never grow tired of it, as one of my greatest joys is to stand in the river, the marsh, or the pluff mud in my hip-waders with my camera creating artwork. This is my meditation and communion with nature, and thankfully the calming and meditative essence of my experience is translated through the art - the work tends to lower your blood pressure,” says Duckworth. HKPS:: What age did you suspect or know you were an artist? JD:: I was always drawing and coloring as a child. My folks had us doing ‘shrinky dinks’, pumpkin carving, ornaments, handmade cards, and our coloring designs printed to kitchen plates! But this was all just FUN. My first memory of being really proud of a drawing I was in the 6th grade. I drew in pencil a very realistic medieval knight on a horse. I think I still have that drawing somewhere. The future, what does it hold? With BOUNDLESS, the College of Charleston has a pretty clear picture: It’s a wide-open sea of opportunity (something like the artwork of John Duckworth ’99 seen here). For more than two centuries, we’ve navigated some pretty tough waters – storms, earthquakes, wars, financial downturns and, at times, our own stubbornness to change. But we always persevere. Because we believe, to our core, that a College of Charleston education is different. It’s the place, it’s the people – and together, they create a learning environment like no other in this world. “Balance, awareness and perception” are the three words contemporary artist John Duckworth uses to describe the unique nature of his upcoming multi-sensory exhibition, AWAKE. On view at the City Gallery at Waterfront Park, November 7 through December 21, 2014. The opening day reception is 5:00-8:00 p.m. The gallery will be transformed into an immersive space within a guided exhibition layout, displaying Duckworth’s photography, sketches, paintings, video, and audio installation in his most comprehensive show yet. The exhibition will include a Video installation; The Buddha Chapel with 15 large format Buddha paintings; a series of sketches on paper and canvas which were preparatory works for the Buddha paintings; and Landscape Abstract Photographs. The photographs are a mixture of surrealism and realism, characterized by focused horizons and saturated colors. Unfortunately the article is no longer available online. Just a few bridges away on Johns Island, John Duckworth quietly works away in his studio, known by friends as The Ranch, where he spends his time cycling, photographing, painting and being a devoted father to his son and partner to the incredible Kelly Jean. 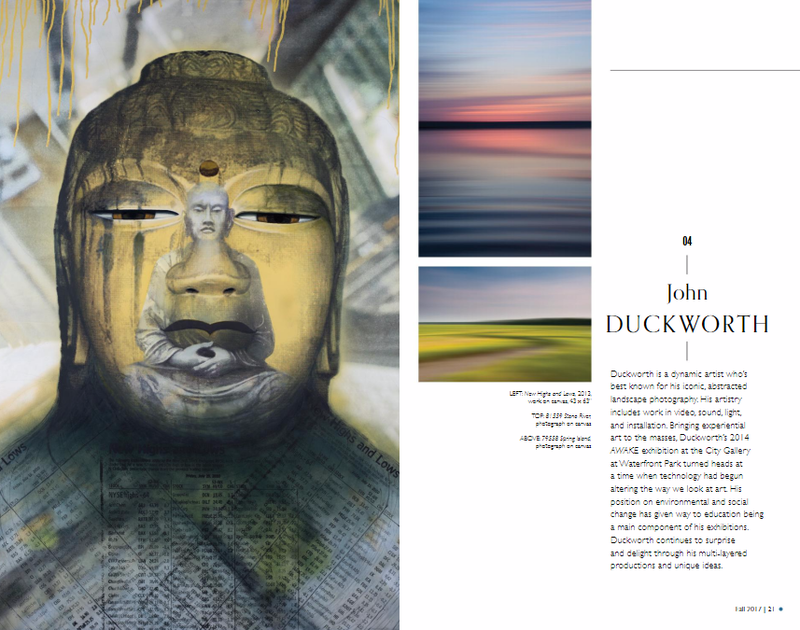 On Friday I headed out to spend some time with Duckworth, where chatted about his newest series of mixed media images–see the Buddha below, future plans and how much the art scene in Charleston has changed over the years. Don’t miss his documentary !